If so, they are due to start reception class in September 2018. You must apply for a reception class place for your child. To make an application please apply online at www.eadmissions.org.uk. South Grove Primary is a state-funded community school in the London Borough of Waltham Forest. Our Nursery provides an under fives activity morning ‘Stay and Play’ on a Tuesday each week with their parents/carers. This is often the first opportunity that children have to come to experience learning through play, and proves to be a very valuable experience. The school has up to 40 FTE places in Foundation Nursery (up to 80 part-time places), and potentialy a limited number of full time places. The admissions and waiting list is held and run by the school. Parents apply formally for a place in our Nursery via the School Office. Children can start Nursery in the term after their third birthday, however there is only one main intake to Nursery which is September each year. These places are allocated using similar criteria as Foundation Stage Reception. A place in our Nursery does not automatically confirm a place in our Reception Class. A further application must be made, following the Local Authority Admissions procedure, directly to the Local Authority. 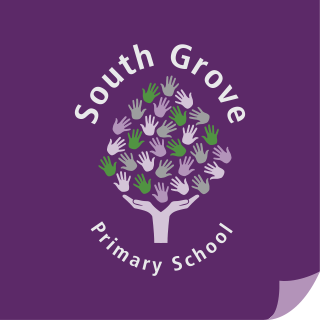 South Grove Primary School has a Reception intake of 60 pupils per year. There is one point of entry to Reception in September each year. All children whose 5th birthday is between 1st September and 31st August will be eligible to start their full time (25 hours) of education in an infants or primary school at the start of the Autumn Term in September. The principle of the single point of entry is based on all pupils receiving the same length of education in the Foundation Stage. If parents are thinking of choosing to defer the start of they should contact the school to discuss this. Full details of the Local Authority application process can be obtained on the Waltham Forest website www.walthamforest.gov.uk or by telephoning: 020 8496 3000. The school is happy to assist parents in these procedures and bi-lingual staff are available to support. We provide a programme of visits and workshops for parents and children prior to admission to both the Nursery or Reception classes. This enables children to become familiar with their new surroundings and to settle in quickly and supports parents to understand their role in working in partnership with the school as the child’s first educators. Prospective parents may also visit the school at any time by arrangement with the School Office. The school is happy to support Year 6 pupils and parent/carers with their applications for local Secondary Schools. Click here for more information about applying to a Secondary School in Waltham Forest.